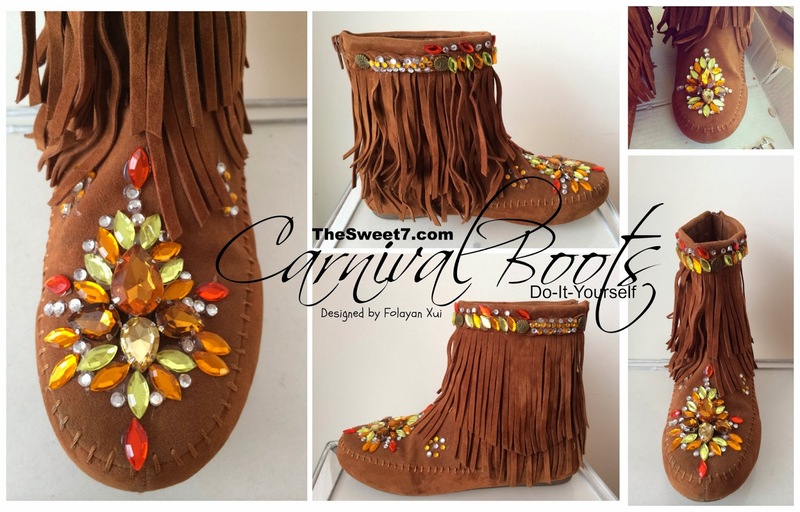 My French friend from Martinique, Virginie recycled her carnival boots used in YUMA's 2012 Apache section. 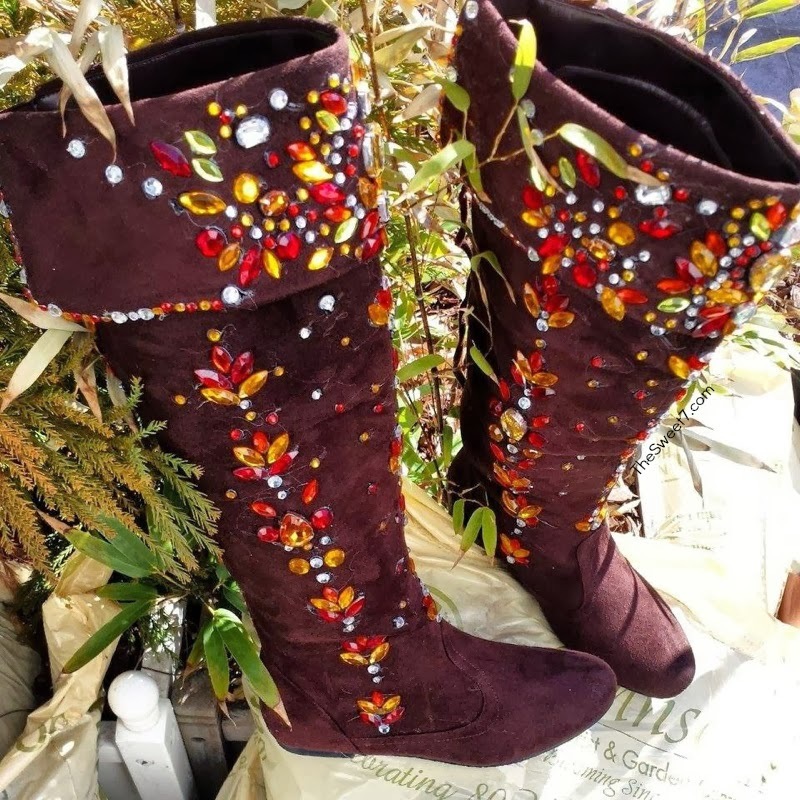 Instead of succumbing to a $100 + expenditure to have her boots decorated, she and her Trinidadian friend, Folayan Xui decided to DIY: Do It Yourself! This year, she returns to YUMA, in the section: Soleil (seen above). ... And my girl has a pair of boots for both Carnival Monday and Tuesday. She messages me, "These are my Monday boots. Tuesday boots coming next! Thanks for putting it on your blog :D. OMG my feet gonna be famous! LOL." - And a Dash of Spice: CREATIVITY! Got to love ladies who aren't afraid of the gun! I'm a gun advocate too. LOL.